American Beach lies on Amelia Island in the Florida area of the Gullah/Geechee Nation. This beach opened in 1935 during the segregation era in America and became a haven for all classes of Black people to be able to gather together and enjoy one another. The businesses along the boardwalk where all Black owned. 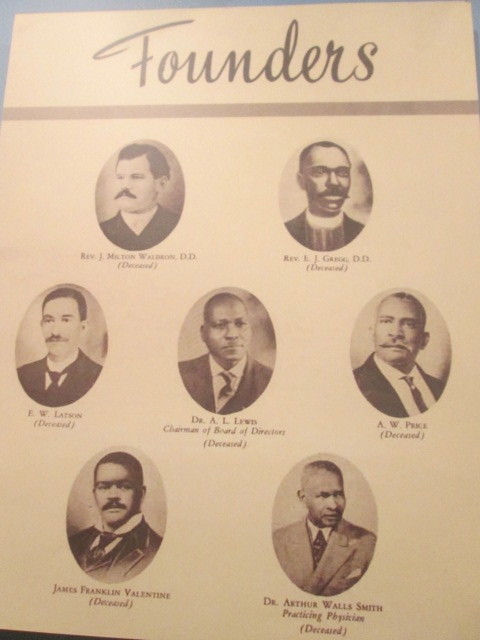 Today, there are few properties that are still within the hands of those that descended from the founders of the Afro-American Life Insurance Company which was the 1st insurance company in the state of Florida. Gullah/Geechee Sacred Ancestor, MaVynee Oshun Betsch, better known as “The Beach Lady,” was born the year that American Beach was founded and came forth as part of the very sands of Nana the now nationally protected sand dune in this historic Black Gullah/Geechee beach township. 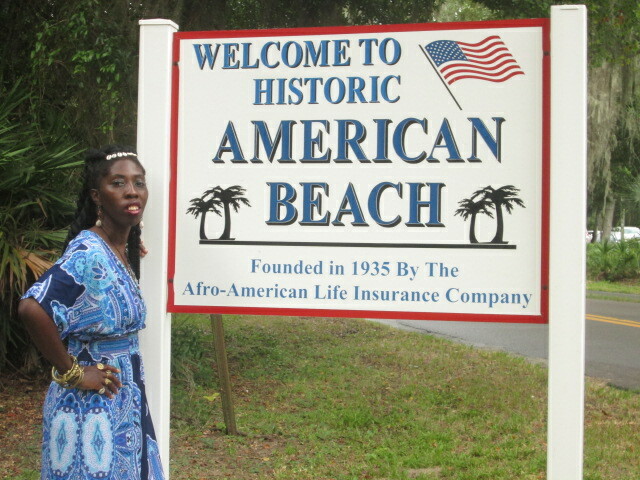 She fought to not only tell the story of her great grandpa, Abraham Lincoln Lewis, a founder of the Afro-American Life Insurance Company, she fought to see American Beach return to being the gathering place that it was during her childhood. To that end, she set out with a vision to begin the A. L. Lewis Foundation. Upon the passing of The Beach Lady’s body, her vision continued to live on because it had been instilled in the hearts and minds of many. Some of them continued to stand together to make her dream of having an “American Beach Museum” become a reality. Read on to learn about the economic endeavors and individuals that have invested in this movement to insure that American Beach remains a part of the living story of America. The Afro-American Life Insurance Company was founded in Jacksonville, Florida in 1901 by Abraham Lincoln Lewis, Rev. E. J. Gregg, Rev. J. Milton Waldron, and others. It was initially called the Afro-American Industrial and Benefit Association. When the American Beach Museum opens Sept. 6, it will highlight key aspects of how the community became a popular resort. That fact features prominently in any story about the affluent life insurance company that purchased the land and founded the community in 1935. The purchase set in motion a rare occurrence—the development of a prominent, public recreational and residential village for black Americans. And Neil Frink knows personally a significant part of that history. Frink, president of the A. L. Lewis Historical Society, the organization responsible for planning, implementing and operating the museum, said members of his family invested in the American Beach dream. He knows first-hand that the ocean-side enclave’s survival rested in the hands of the small business community it relied upon. Eateries, like Frederick’s Scenic View Luncheonette, owned by Frink’s aunt and uncle Alfreda and Reedy Frederick, helped attract to the beach a steady stream of visiting and vacationing patrons. Ada Lee, the original owner of beach restaurant Duck’s, was Frink’s relative on his maternal grandmother’s side. Two different families named Davis, one from Jacksonville and the other from Fernandina Beach, later owned and operated the establishment, Frink said. Also, Lee’s brother owned Lancaster’s, a bed and breakfast with a veranda-style porch that wrapped around the building. “We used to picnic there,” Frink said. But Frink, who had also been active in the Association for the Study and Preservation of African American History of Nassau County, was destined to become the historical society’s president. Following Stewart, Carol J. Alexander, former director of Jacksonville’s Ritz Theatre and Museum and now CEO of events services company Alexander Productions, took the helm with Frink as vice-president. Alexander’s subsequent departure led to Frink finally becoming president. As the United States observes the 50th anniversary of the Civil Rights Act of 1964, it becomes clear that small business owners continue to contribute to the American Beach success story and to the community’s future. Prior to passage of the legislation, no laws preventing racial discrimination in public accommodations existed. White business owners could offer substandard service or altogether refuse to serve black customers. White-owned hotels, particularly in the south, as a rule refused black patrons. Restaurant owners would not serve or offer seats to black customers who often had to wait at the back door for their take-out food order. In contrast, the thriving shops, clubs, diners and motels on American Beach brought dignity and freedom to black Americans who were denied full rights within segregated society. Today, the American Beach Villas, an active apartment community, continues to stimulate residential life on the beach. And although closed for years, the Evans’ Ocean Rendezvous nightclub, now publicly owned by the Nassau County government, has the potential to draw visitors to the beach after it is restored as part of the historic park connecting it to Nana sand dune. The sand dune stands as a prominent environmental feature on American Beach, within the The National Park Service’s Timucuan Ecological and Historic Preserve. Developing an economic base of ownership within the black community was all a part of the American Beach business plan, said journalist and Boston-based filmmaker Clennon King. King, who once worked as a journalist in Jacksonville, acquired papers that documented, among other things, the land holdings of A. L. Lewis, one of the American Beach founders. King conveyed his collection to Betsch, Lewis’ great-granddaughter, who placed them in the care of the Ritz Theatre and Museum. “Black businesses got upstaged with the coming of the Civil Rights Movement,” said King, a principal owner ofAugustineMonica Films. Lewis’ signature as a property owner “was all over the place,” King said, describing the deeds included within the Lewis papers. “He had property everywhere,” including Harlem, NY. Lewis understood that “the economic base empowered people,” King said. Alfreda and Reedy Frederick had grown up together in Fernandina Beach. The two lived and worked in Miami, but would return to Amelia Island in the summer. “They planned the restaurant for a long time” Frink said about his mother’s oldest sister and her husband. They opened the place near American Beach in their retirement. Located off First Coast Highway about a quarter mile north of the primary beach entrance on Lewis Street, the restaurant became well-known for its crab cakes, Frink said. The most important thing for any nationality or group of people is their history,” said A. L. Lewis Society member and business owner Carlton Jones. “So many of our children really don’t know where we [black Americans] came from,” except for slavery, he said. “We have to get our young people involved” in learning the history, Frink agreed. many thanks, Queen Quet, for the extablishment of the american beach which brough together our black brothers & sisters. The thanks go to GOD and the Afro-American Life Insurance founders for making this vision a reality.